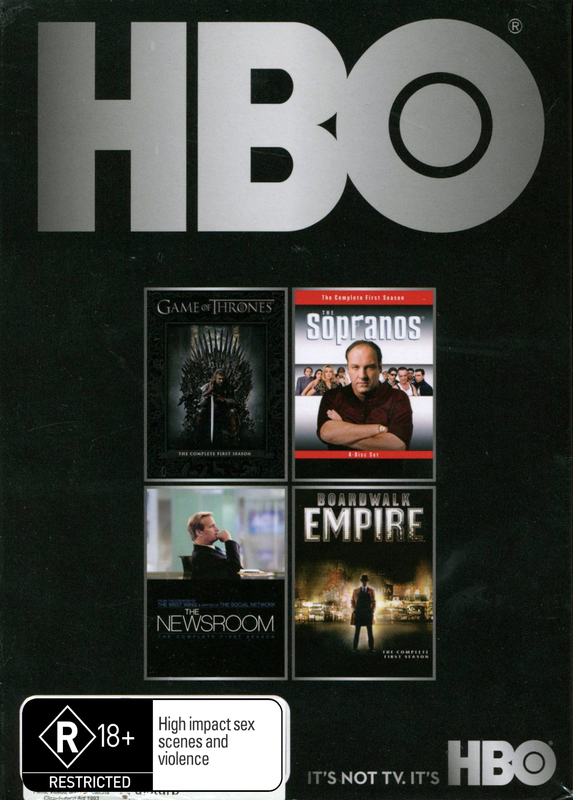 Limited edition HBO TV Starter Boxed Set, with a series 1 collection of top rated HBO TV shows – over 38 hours of content! Summers span decades. Winters can last a lifetime. And the struggle for the Iron Throne has begun. It will stretch from the south, where heat breeds plots, lusts and intrigues; to the vast and savage eastern lands; all the way to the frozen north, where an 800-foot wall of ice protects the kingdom from the dark forces that lie beyond. Kings and queens, knights and renegades, liars, lords and honest men… all will play the ‘Game of Thrones.’ A new original series based on George R.R. Martin's best-selling ‘A Song of Ice and Fire’ series. Stars Peter Dinklage, Lena Headey, Maisie Williams, Kit Harington. Created by David Benioff, D.B. Weiss. Won 1 Golden Globe. Another 41 award wins & 90 nominations. From Emmy-winning writer Terence Winter (The Sopranos) and Executive Producter Martin Scorsese, Boardwalk Empire begins in Atlantic City in 1920. It is the eve of Prohibition, and county treasurer, Enoch “Nucky” Thompson (Steve Buscemi) is looking to cash in. As the undisputed “Boss” of Atlantic City, Nucky leads a double life as a politician and bootlegger; Prohibition may have outlawed alcohol, but in Nucky's world it has opened up highly lucrative opportunities for gangsters and rumrunners looking to provide “liquid gold” for a thirsty nation. In a city defined by notorious backroom politics and vicious power struggles, Nucky must battle with a relentless federal agent, ambitious underlings, and opportunistic rivals – including Arnold Rothstein, Lucky Luciano, and Al Capone. Stars Steve Buscemi, Kelly Macdonald, Stephen Graham, Michael Shannon. Created by Terence Winter. Won 2 Golden Globes. Another 41 award wins & 69 nominations. The series centres on a cable news anchor (Jeff Daniels), his new executive producer (Emily Mortimer), his newsroom staff (Alison Pill, John Gallagher, Jr., Olivia Munn, Dev Patel, Thomas Sadoski) and their boss (Sam Waterston). Together they set out on a patriotic and idealistic mission to do the news well in the face of corporate and commercial obstacles and their own personal entanglements. Stars Jeff Daniels, Emily Mortimer, John Gallagher Jr., Alison Pill. Created by Aaron Sorkin. Nominated for 2 Golden Globes. Another 3 award wins & 15 nominations. Meet Tony Soprano, your average middle-aged businessman. Tony's got a dutiful wife. A not-so-dutiful son. A daughter named Meadow. An uncle who's losing his marbles. A hot-headed nephew. A not-too-secret mistress. And a shrink to tell all his secrets, except the one she already knows: Tony's a mob boss who's troubles are wrapped up in his two families. These days, it's getting tougher and tougher to make a killing in the killing business. Just because you're “made” – doesn't mean you've got it made. 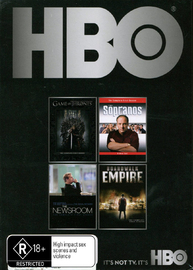 Stars James Gandolfini, Lorraine Bracco, Edie Falco, Michael Imperioli. Created by David Chase.